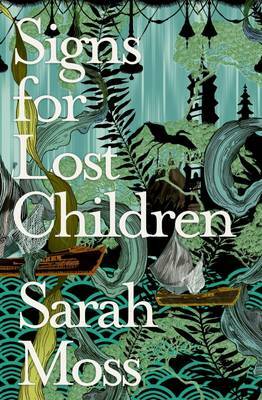 Topping my wish list for this second July selection is Sarah Moss’s Signs for Lost Children billed as the third part of a loosely linked trilogy which began with Night Waking. Bodies of Light, the second instalment, appeared on the Wellcome Trust Book Prize shortlist for its theme of nineteenth century women in medicine. This one picks up Ally and Tom’s story from there. Newly married they face separation as Ally practices as a doctor at Truro’s asylum and Tom builds lighthouses in Japan. 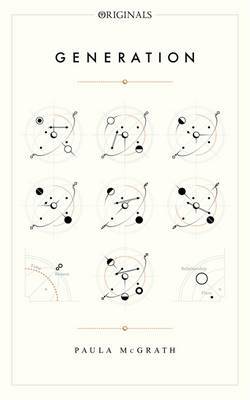 Bodies of Light was one of my favourite books of 2014 so I’m particularly eager for this one. Robert Seethaler’s A Whole Life was a huge bestseller in Germany, apparently. It’s about Andreas who arrives in the Austrian Alps as a small boy and stays there for the rest of his life, leaving just once to fight in the Second World War.The publishers have somewhat ambitiously compared it to Stoner. If it’s only half as good as John Williams’ rediscovered gem it will be well worth your time. Paula McGrath’s Generation has a much wider stretch covering eighty years, three generations and three continents. Discontented with her life in Ireland, Aine takes her six-year-old daughter to an organic farm near Chicago. Things don’t go quite as planned and the events of that summer will have far-reaching consequences. It’s billed as ‘a short novel that contains a huge amount’, a neat little description that snagged my attention. Vanessa Tait’s The Looking Glass House could go either way. It’s a re-imagining of the origins of Alice’s Adventures in Wonderland. Tait is the great-granddaughter of Alice Lidell which gives the novel an intriguing edge although you may feel that Alice has been over exposed given the brouhaha around Robert Douglas-Fairhurst’s The Story of Alice earlier this year. I’ve yet to read that but the two could well be complementary. My last choice for July is an uncharacteristic one for me but it’s by an author I’ve banged on about ceaselessly – at least some readers may think so – since the publication of his first novel, Shotgun Lovesongs. I’d love to tell you that there’s a new Nickolas Butler novel in the offing but sadly that’s not to be. 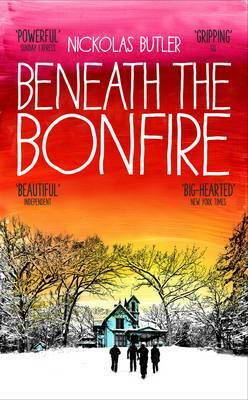 Instead his collection of short stories, Beneath the Bonfire, is to be published this summer and I’m sure it will be wonderful. That’s it for July hardbacks. If you missed the first part you can find it here and a click on a title will take you to Waterstones website for a fuller synopsis. This entry was posted in Random thoughts, Reviews and tagged A Whole Life, Beneath the Bonfire, Bodies of Light, Books published in July 2015, Charlotte Collins, Generation, Nickolas Butler, Night Waking, Paula McGrath, Robert Douglas-Fairhurst, Robert Seethaler, Sarah Moss, Shotgun Lovesongs, Signs for Lost Children, The LIst of My Desires, The Looking Glass House, The Story of Alice, Vanessa Tait on 22 June 2015 by Susan Osborne. I haven’t read the first one, Naomi, but I think you’d enjoy Bodies of Light. I gather that’s much more closely linked to Signs for Lost Children than Night Waking. Shotgun Lovesongs is on my #20BooksOf Summer list . …. Always behind the curve! Loved it, Helen, but I’m a sucker for small town American novels. I hope you enjoy it. Ooo so am I so sounds hopeful !! I suppose after all my banging on about Alice recently I should read ‘The Looking Glass House’ and maybe I will, but the one that really catches my attention is ‘Sign’s for Lost Children’, especially as I haven’t read the earlier ones and so they might make an interesting summer project. If you have to choose between the two, Alex, I’d go for the Moss. I haven’t read Night Waking but I gather that Signs for Lost Children and Bodies of Light are much more closely linked. I’m sure you’d enjoy them. Very pleased to hear that they’re useful, Jacqui. Most impressed with your self restraint, too! Ooh always intriguing. I love the sound of Generation, but have completely failed to get a copy of The Looking Glass House to one of our reviewers, despite five emails to four different people at Atlantic. Have they changed the way they send out books, do you think, Susan? Anyway, not to worry. I must try Sarah Moss, too, as I see her mentioned around a great deal but have yet to read her. I’m quite keen on Generation but Signs for Lost Children is my top choice having enjoyed Bodies of Light so much. I’m sorry to hear of your trials and tribulations with Atlantic – I’ll email my contact’s details to you in case you’ve been approaching some one else.